Find the right tour for you through Skara Brae. 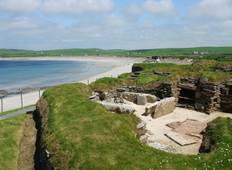 We've got 15 tours going to Skara Brae, starting from just 3 days in length, and the longest tour is 15 days. The most popular month to go is June, which has the most number of tour departures. "Bloody rip-snorter of a tour! I recommend it unreservedly." "A trip that I was reluctant to take because of my health. One of the best decisions..."
"Great trip great country great guide"
"Even to say we give high praise is an understatement. 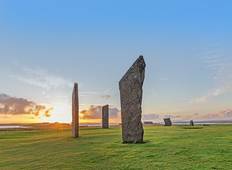 This was by far the best tour..."
"The sights on Mull, Iona, and Orkney were amazing. Skye was our least favorite island...."